Presented in 2012, Rhythms of the Soul featured new works, new concepts and outstanding collaborations with extraordinary group and solo performances by master artists and talented Nrithyanjali dancers. Born in Udatadi, Shimoga district of Karnataka, India, Akka Mahadevi (akka mahādēvi) was a prominent figure of the Veerashaiva Bhakthi movement in India in the 12th Century. Her vachanas, a form of poetry are considered her greatest contribution to Kannada Bhakti literature, and bear witness to her intense, all-encompassing love for Lord Chennamallikarjuna, embodying the philosophy Sarana sati Linga pati. Nrithyanjali's presentation on akka mahādēvi highlights a few of her beautiful vachanas and portray some of the profound moments of her life. 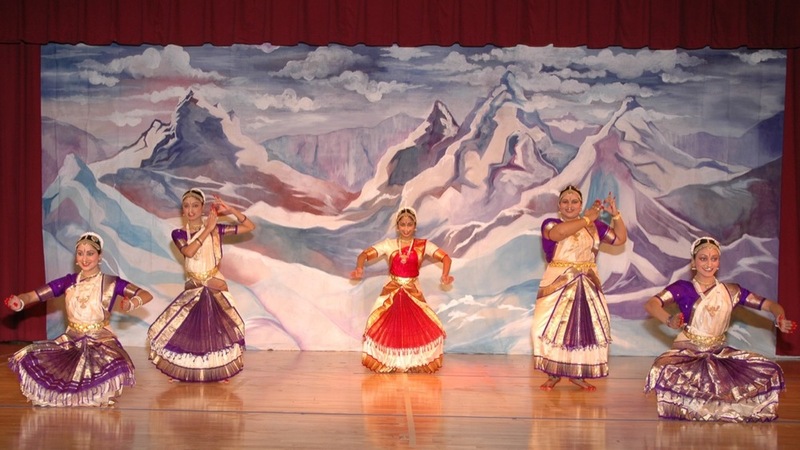 The show was premiered in 2007 at the Chicago Tyagaraja Utsavam, and was again performed at the Chicago Public Library in 2012. Nrithyanjali's presentation of nauka caritramu premiered in 2006 at the Chicago Tyagaraja Utsavam festival. Highlighting the works of Sri Swathi Thirunal Rama Varma, the 18th century ruler of the state of Travancore, who used the mudra (signature) "padmanabha" in his compositions. A three part program revolving around the three goddesses of the Hindu pantheon - Saraswathi, Laksmi and Durga. A glorious tribute to the multi-faceted aura of Lord Shiva.